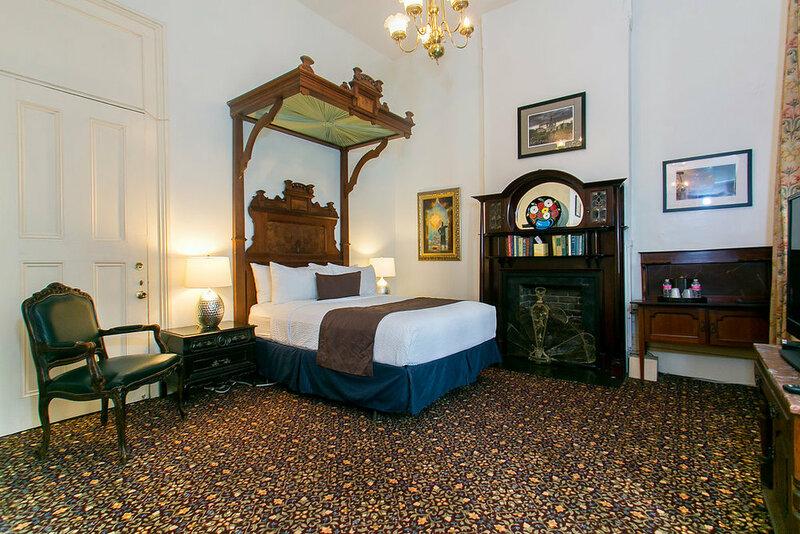 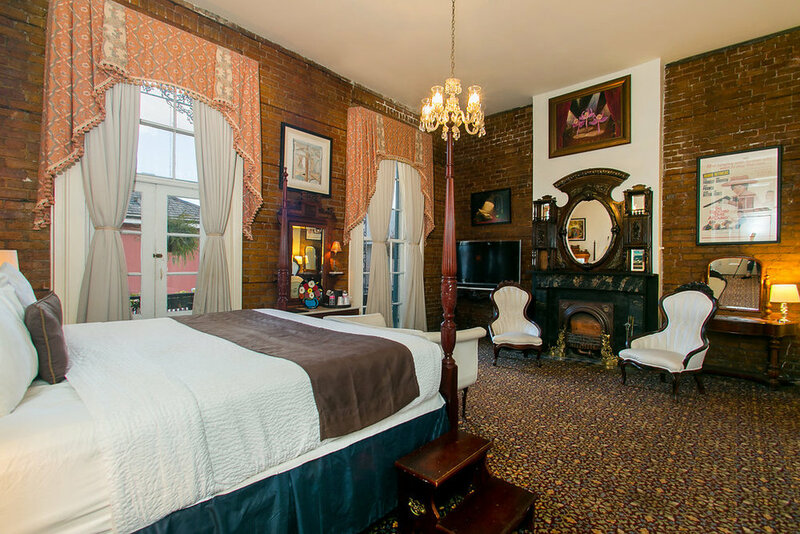 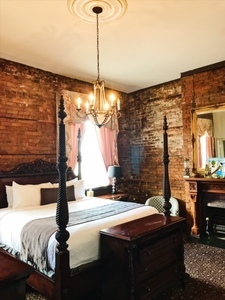 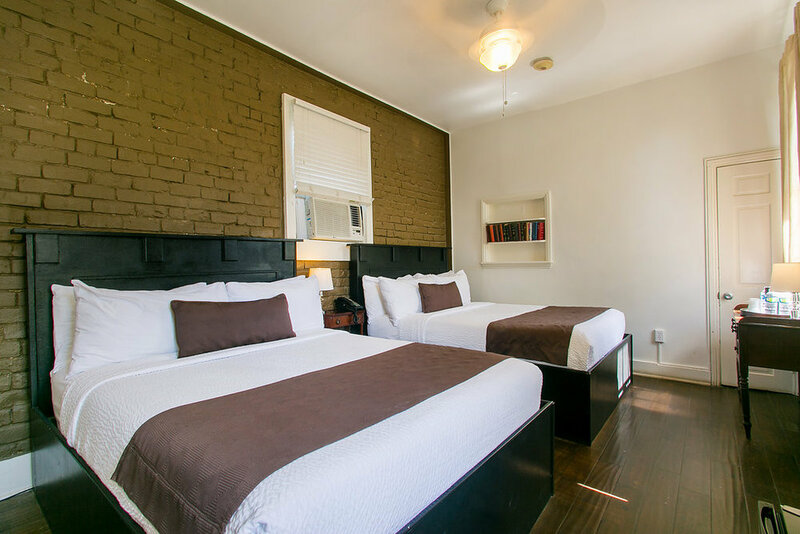 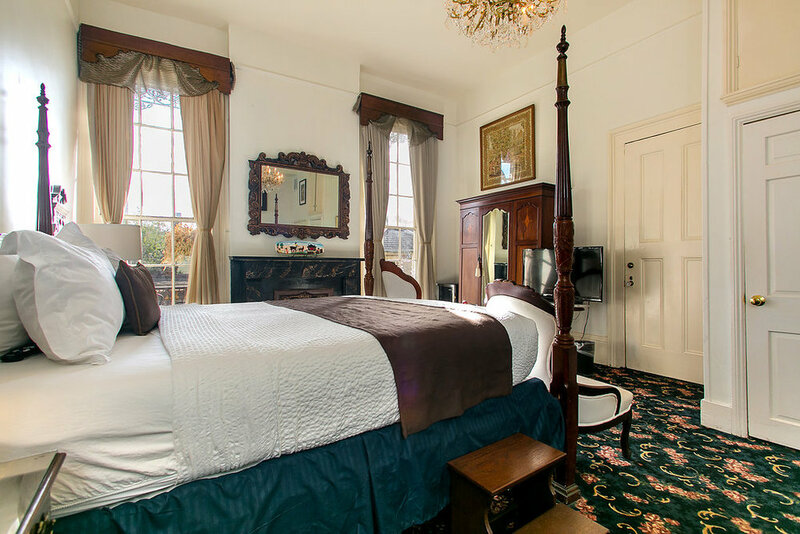 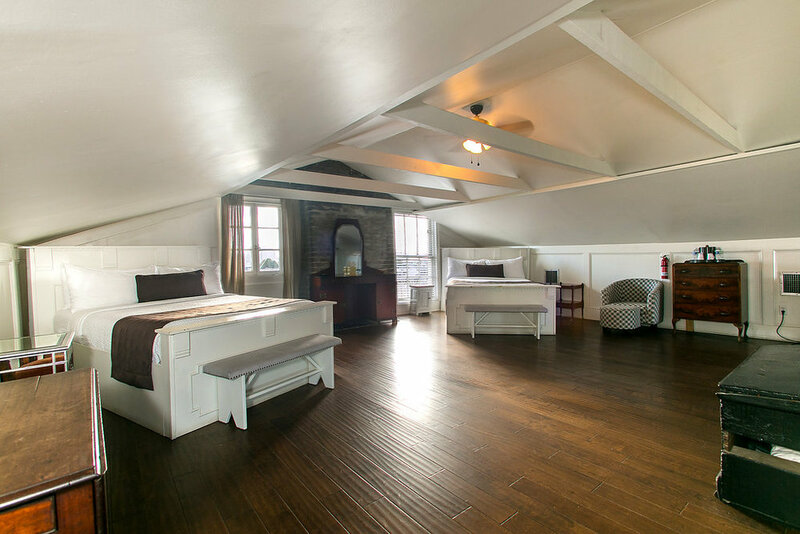 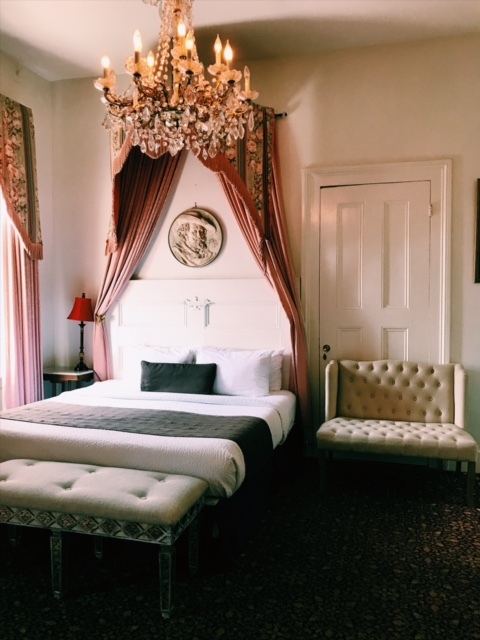 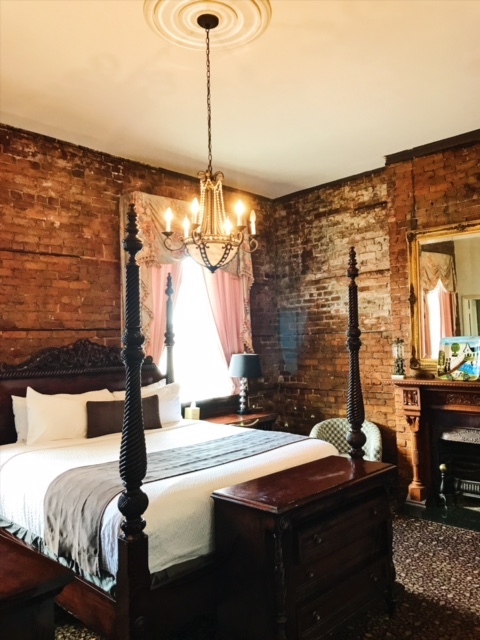 Lafitte's Guest House offers 14 guest rooms, in three different categories: Mansion Rooms with Balcony, Mansion Rooms, and Courtyard Rooms. 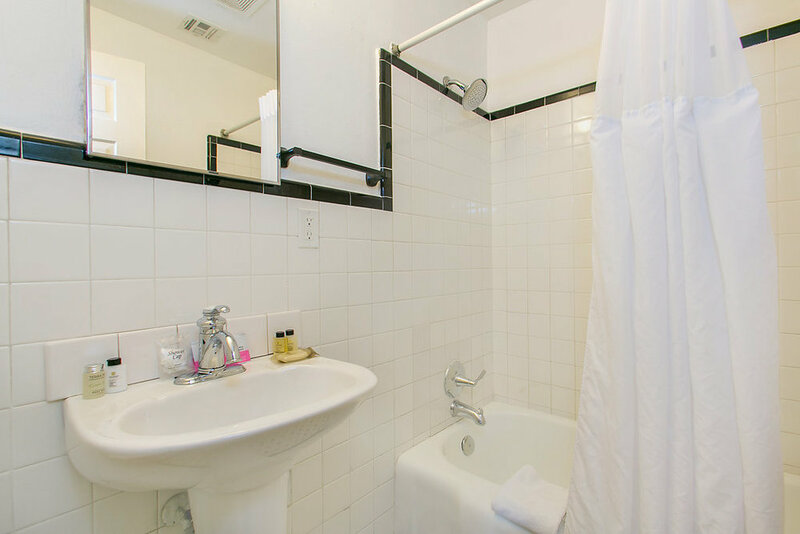 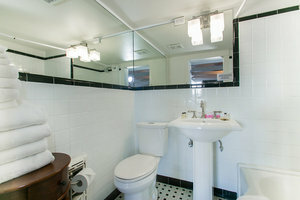 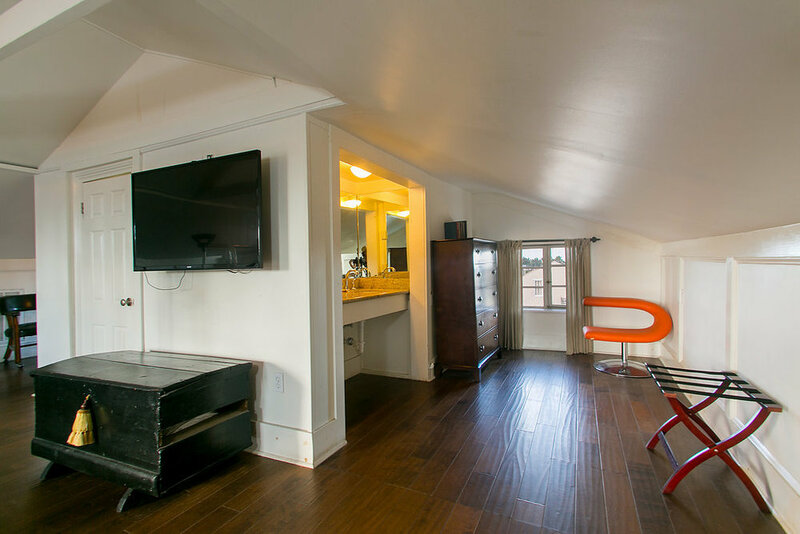 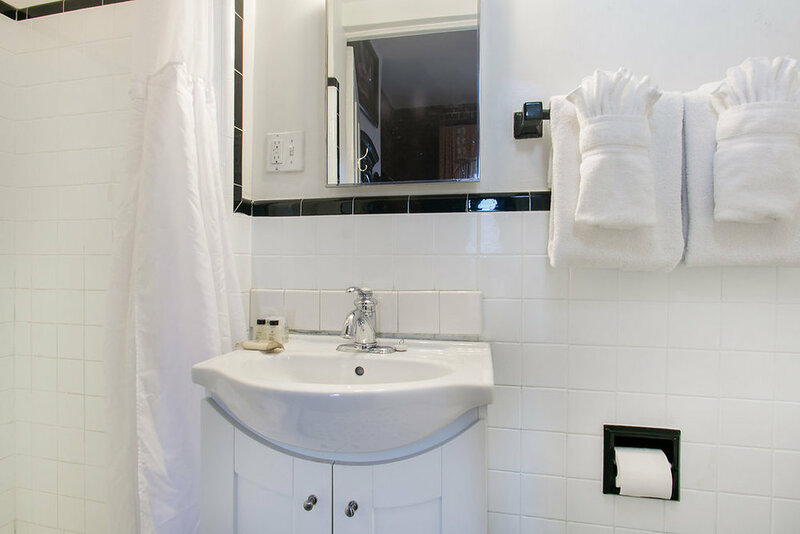 Each of our rooms has a private bathroom, flat screen TV, refrigerator, hair dryer, and iron/ironing board, as well as free WiFi. 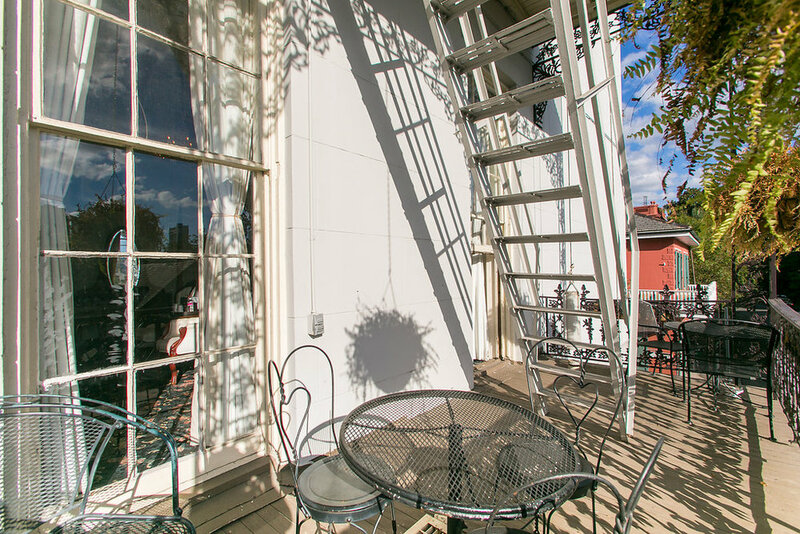 Rooms 3, 5, 24, and 34-- Rooms 3 & 5 are located in our lush courtyard. Room 3 is located in the mansion and has a queen size bed with a canopy above it. Room 5 has a queen bed and lofted futon. 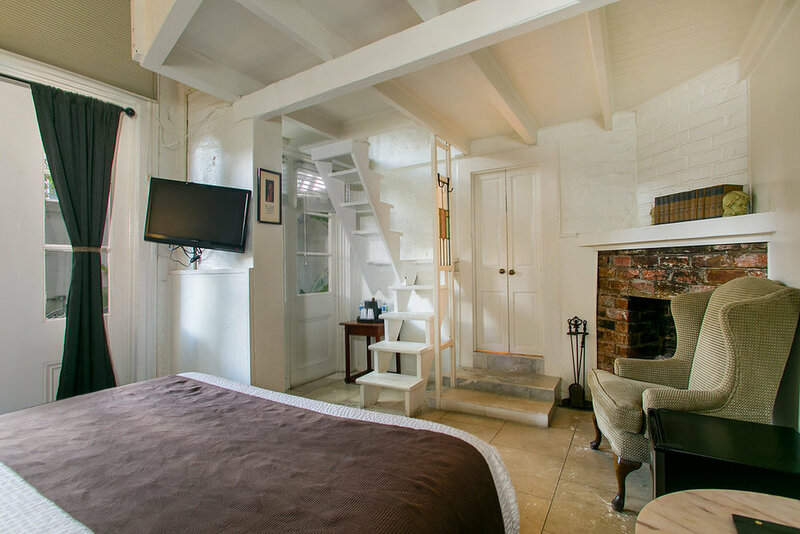 This room has a very small staircase to the loft area, so please book accordingly. The loft area works well for children or young adults. Room 24 is located on the second floor and is right next to our second floor shared balcony. Room 34 is on the third floor and located on the shared balcony. 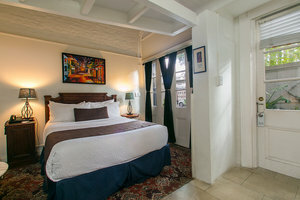 Rooms 25 and 35-- Located on the second and third floors, respectively, these charming rooms each have 2 queen size beds and sleeps a maximum of 4 guests per room. 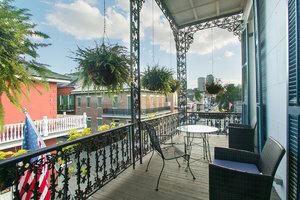 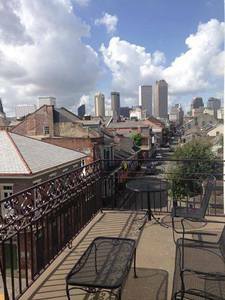 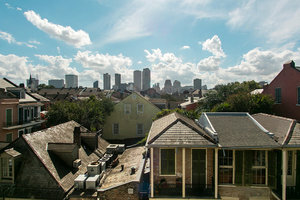 These rooms share the courtyard balcony area with one other room (34), all of which overlook the courtyard below and offers stunning French Quarter and City skyline views. 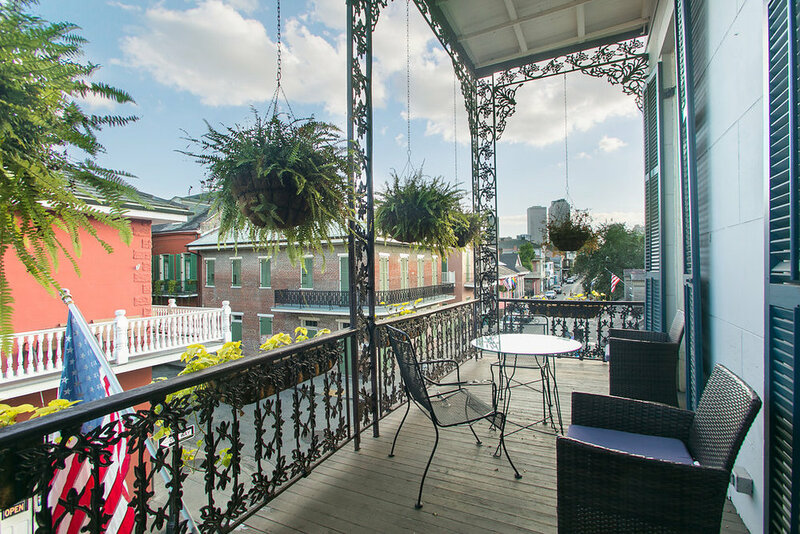 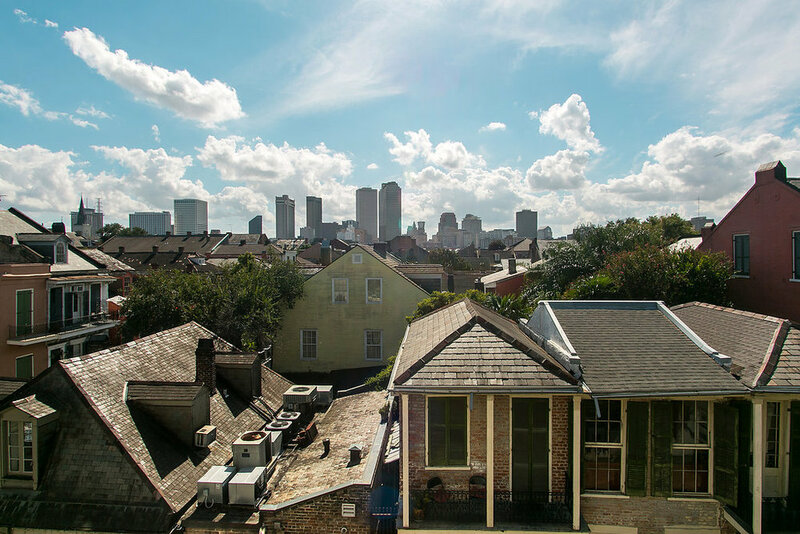 Room 40-- Our top floor unit is one of the highest points in the entire French Quarter and offers some of the most absolutely stunning views of the city skyline. This open concept loft style unit has 2 queen beds and sleeps up to 4 guests. 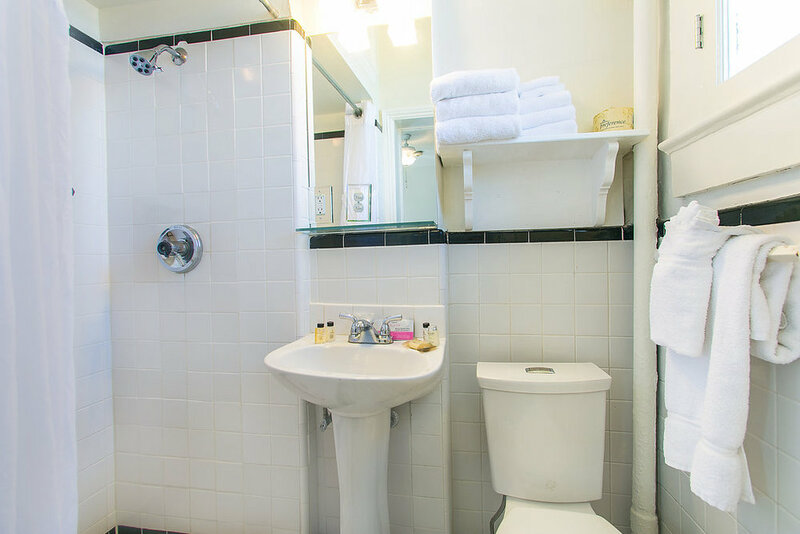 Note: Guests of this unit must be able to walk one flight of stairs, as our elevator stops on floor 3. 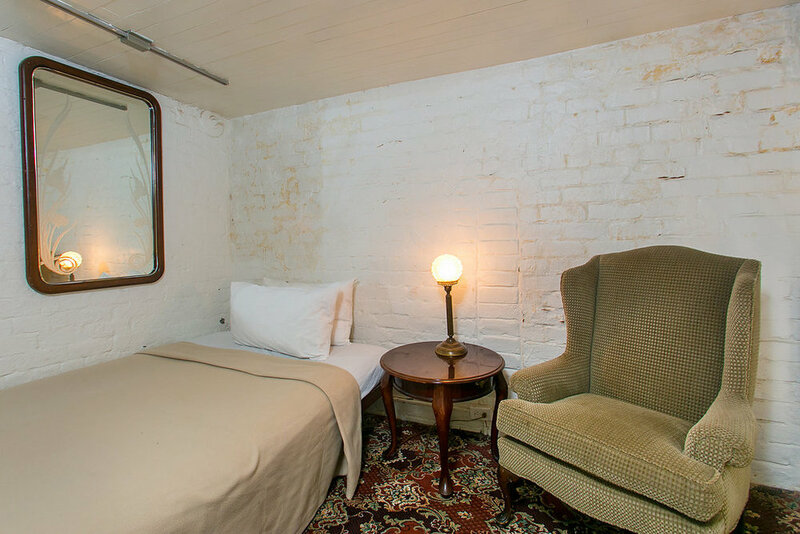 Not recommended for those with physical impairments or children. 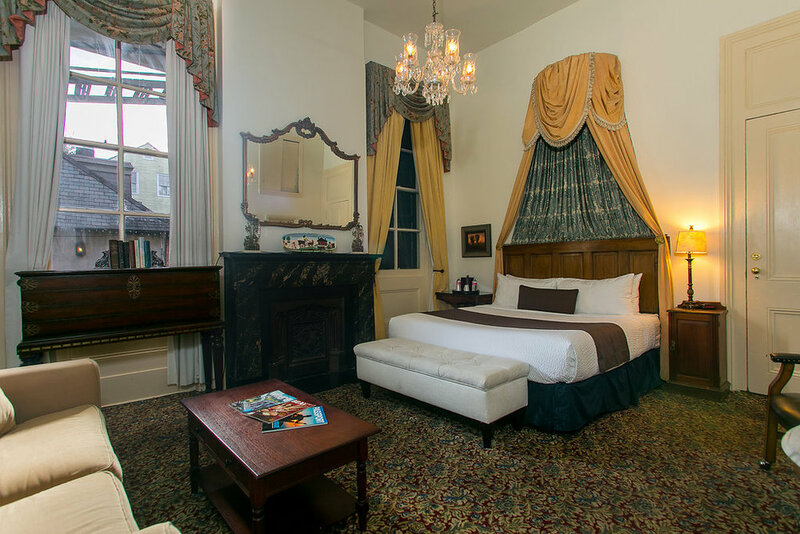 Room 20-- This room is on the second floor of the mansion and has a private balcony overlooking world famous Bourbon Street. It is furnished with a queen size bed, which sleeps a maximum of 2 persons. Room 21-- This unique room is on the second floor of the mansion and has a private balcony overlooking world famous Bourbon Street. 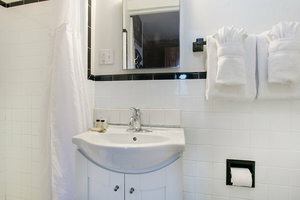 It is furnished with a king size bed, which sleeps a maximum of 2 persons, and a white leather settee. 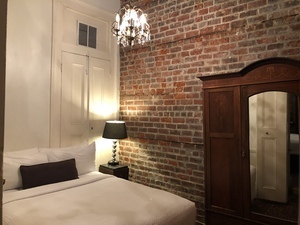 Copyright © 2019 Lafitte's Guest House All Rights Reserved.